Uses the Trove state facet to create a choropleth map that visualises the number of search results per state. Uses the Trove title facet to find the number of results per newspaper, then merges the results with a dataset of geolocated newspapers to map where articles were published. 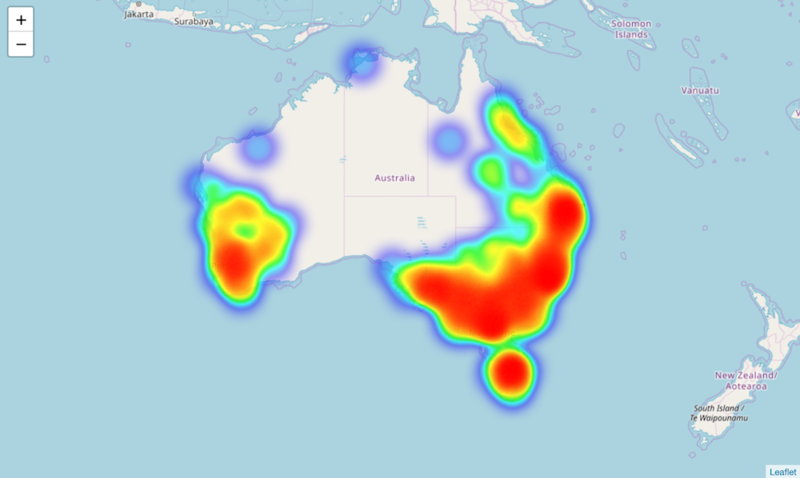 Adds a time dimension to the examples in the previous notebook to create an animated heatmap. Uses the date index and the firstpageseq parameter to find articles from exactly 100 years ago that were published on the front page. It then selects one of the articles at random and downloads and displays an image of the front page. Uses the has:corrections parameter to get the total number of newspaper articles with OCR corrections, then displays the results, updating every five seconds. These are Jupyter notebooks designed to run in ‘app mode’ with the code cells hidden. The Binder buttons will automatically open the notebooks in app mode, but you can always view and edit the code by clicking the ‘Edit App’ button. The Trove web interface doesn’t provide a way of getting high-resolution page images from newspapers. This simple app lets you download page images as complete, high-resolution JPG files. Generate a nice square thumbnail image for a newspaper article. QueryPic is a tool I created many years ago to visualise searches in Trove's digitised newspapers. 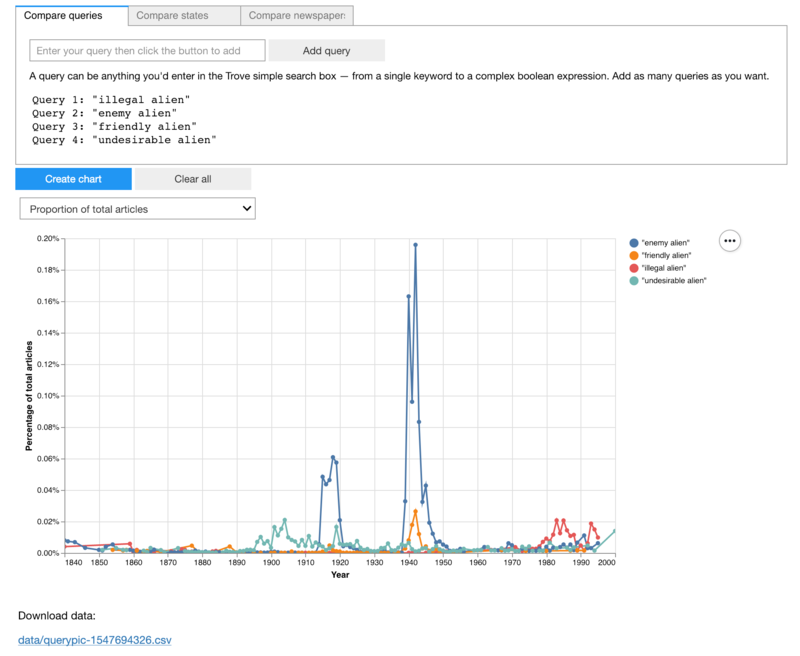 It shows you the number of articles each year that match your query — instead of a page of search results, you see the complete result set. You can look for patterns and trends across time. This is a deconstructed, extended, and hackable version of QueryPic.